If you and your spouse are preparing for a divorce, it is in your best interest to get an experienced estate planning attorney who can help you prepare for the future. Every person’s situation is different, but whether you already have a will or trust or you have yet to create an estate plan, there are important documents you can create to protect your rights and assets. Once again, if you do not have a will and you die or become disabled while you are going through a divorce, it is your estranged spouse who will automatically be entitled to control your estate. It will be your estranged spouse who will be entitled to at least half of your estate if you have children, and all of your estate if you have no children. At the law firm of Morris Hall, PLLC, we can help you prepare for the future by planning and drafting some basic estate planning documents, usually at or near the end of the divorce process. It is advisable to see an estate planning lawyer before the divorce is final. 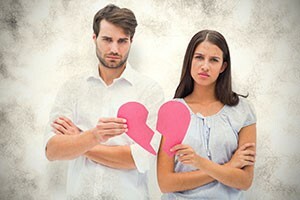 Divorce is an emotional time and many legal issues must be considered in the process. Divorce can also have a huge impact upon future events, especially when children and other beneficiaries are involved. Through proper estate planning, you and your family can remain protected, even during such a difficult time.